A few days ago, my mom handed me a bunch of overripe bananas. Instead of throwing them away, she wanted me to do something useful with them. When I saw the bananas, my instant thought was “Eew… Mushy, slimy, almost rotten stuff. 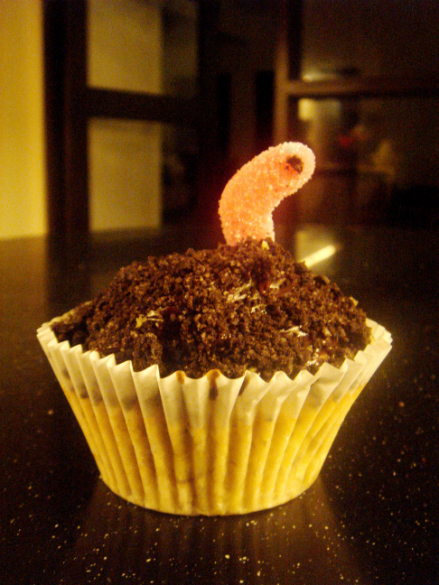 -_-” However, as I examined them more, I noticed that they were still edible and slightly firm. 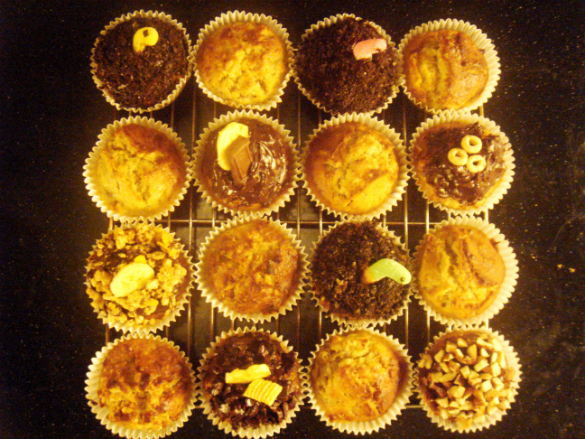 So, I decided to give them a try and make banana muffins. 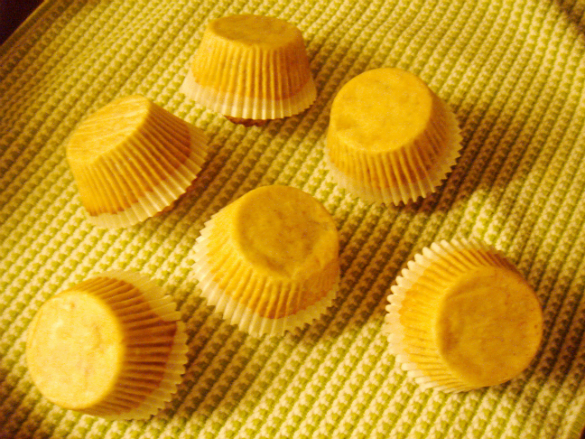 In the photo, we can see how some find cupcakes to be more desirable than muffins, maybe because of the texture or the frosting. But, even in this simple idea, we can see how natural it is for us to compare things, ourselves, or even the people around us. 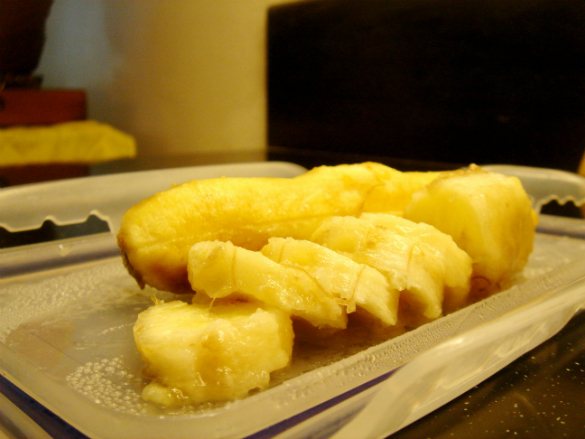 I first removed the banana peels and other dark spots on the bananas before mashing them in a bowl. The bananas did not look appealing, but, they were the PERFECT ones to use for the recipe because of their natural sweetness and soft texture. It was so easy for me to look at the appearance of the overripe bananas and show disgust when I first saw them. In the same way, God reminded me of how I’m easily concerned with how I look, what my status/lifestyle is, how much money I have, and other things that last only for a moment. He also reminded me of those times when I’d be insecure. Sadly, I would tend to compare myself to others and choose not to be grateful and satisfied with how He made me and with what He has given me. 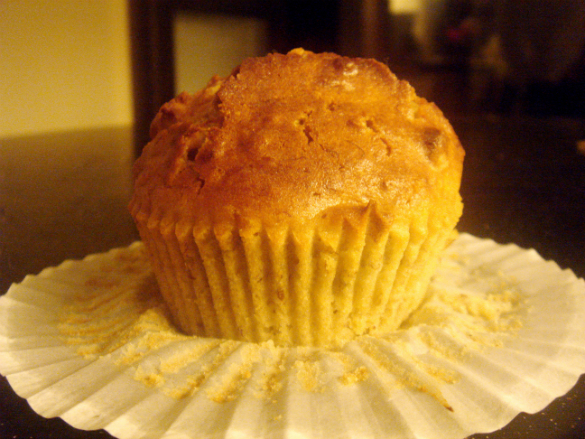 While I was baking the banana muffin batter, I began to appreciate the overripe bananas even more. The sweet smell of the vanilla extract and bananas filled the air and I found myself enjoying it. Once the banana muffins were done in the oven, I immediately placed them in a wire rack to cool down. But then, I remembered a tip that Alton Brown shared in one of his Good Eats episodes. 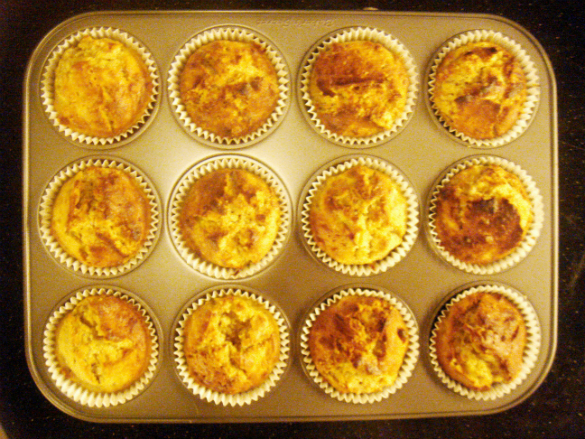 He suggested that the muffins must be cooled upside down on a thin towel for better volume. I tried doing it and was amazed by what I saw. 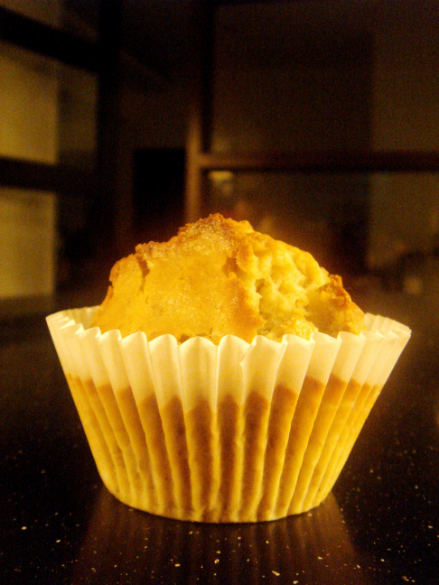 The muffins looked like they were bowing down. They didn’t look “insecure”. They looked humble. God spoke to my heart and reminded me that being insecure and being proud are inseparable. I’ve had (and still have) my share of insecurities. But, by His grace, He continues to encourage me to see myself and my situations through His eyes. In the process of doing so, I realize that I shouldn’t be insecure because I know that God loves me and He would only want what’s best for me. After cooling the muffins, I decided to put the finishing touches. 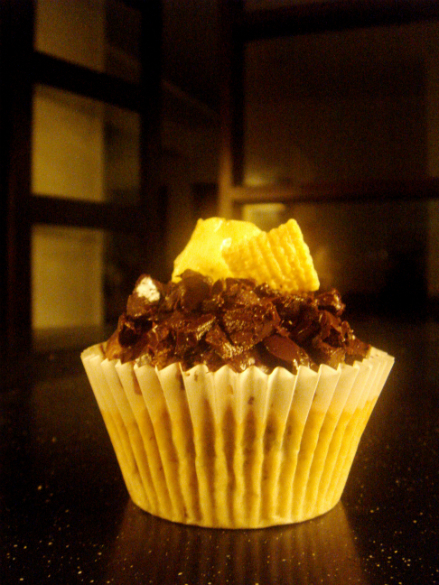 :) I invited my eldest sister to help out and we started working on one muffin at a time. It was fun! 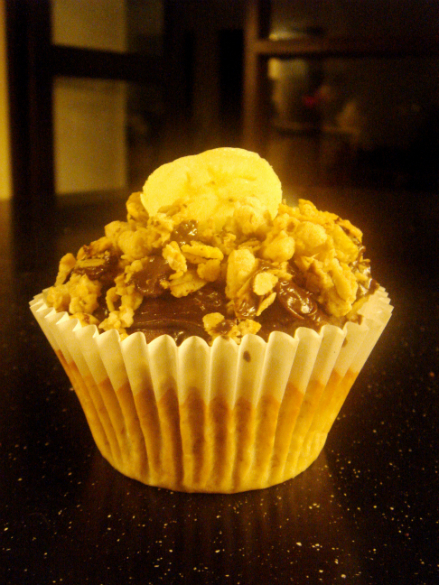 We ended up using different toppings on half of the batch of baked banana muffins. 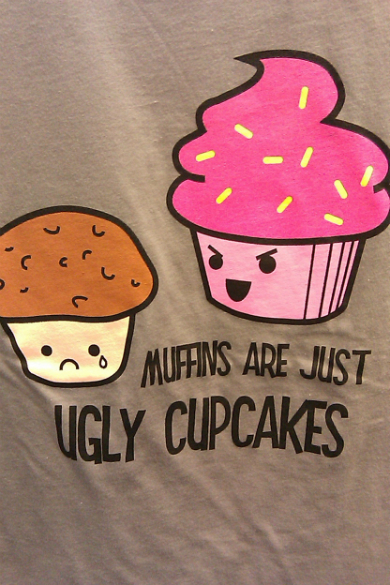 Some say that the difference between a cupcake and a muffin is the frosting that cupcakes have. But, according to Alton Brown, the difference is in the mixing method. In making cakes, the butter and sugar are creamed first until fluffy; eggs are added; and finally, the dry ingredients are incorporated. 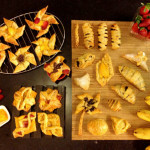 On the other hand, in making muffins, the dry ingredients are combined; the wet ingredients are combined; and then both wet and dry ingredients are mixed together. In the same way, God showed me that He also uses different methods in our lives. He had a purpose in mind when He made each of us and we just have to continue trusting in His goodness and faithfulness in our lives. 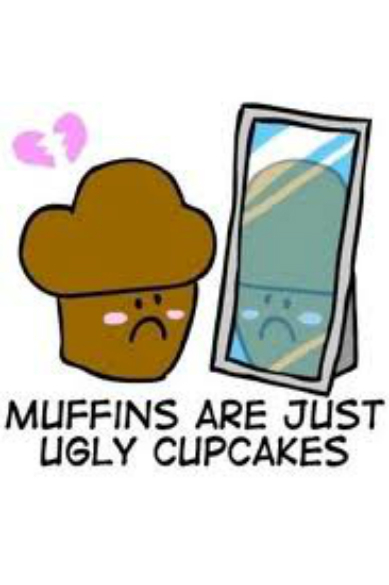 The day before I made banana muffins, I was struggling with insecurities again. But, God knows exactly how and when to encourage us. Thank You, Lord! I pray that we may continue to find our security in Him all the days of our lives. God bless you, guys! 2. 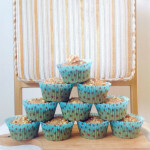 Line 18 large muffin cups with paper liners. 3. Sift the flour, sugar, baking powder, baking soda, and salt into a bowl. 4. 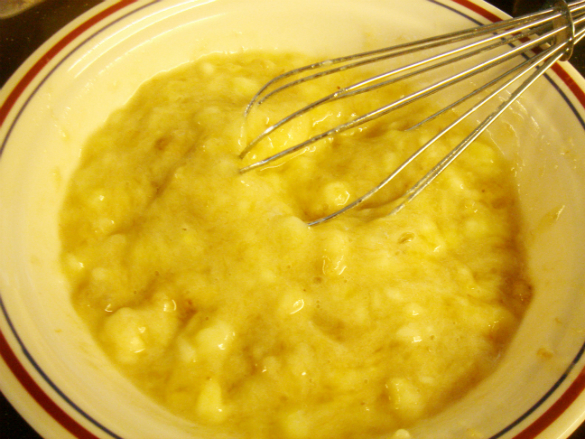 Combine the butter, eggs, milk, vanilla, and mashed bananas, and add them to the flour-and-butter mixture. Combine well, but don’t overmix. 5. 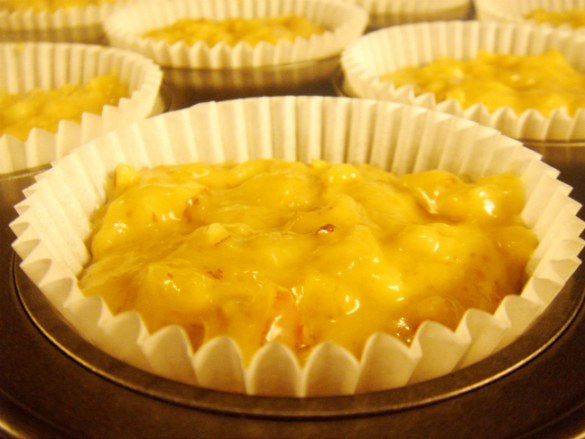 Fold the diced bananas and nuts into the batter. Spoon the batter into the paper liners, filling each 1 to the top. 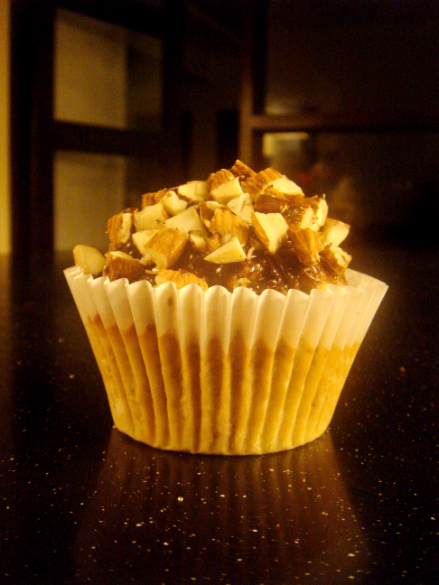 Bake for 25 to 30 minutes, or until the tops are brown and a toothpick comes out clean. 6. Cool slightly, remove from the pan, and serve. 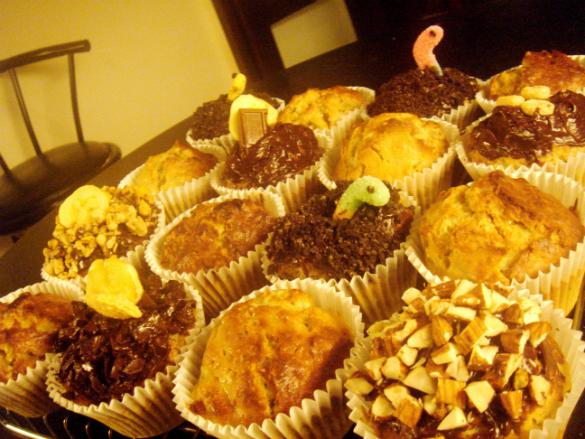 I just realized that I am probably the most blessed among your readers because not only do I get spiritually fed but I got to taste the muffins that you made…because we live in the same house :)) …they taste soooo good! Thanks for the treat Nicole…I’m very much encouraged! Thanks, dad! hahaha. By God’s grace! Haha. Hi Mykee! :P Praise God!! Love this post Nicole :) keep it up!!! You’re such a blessing! Wow! 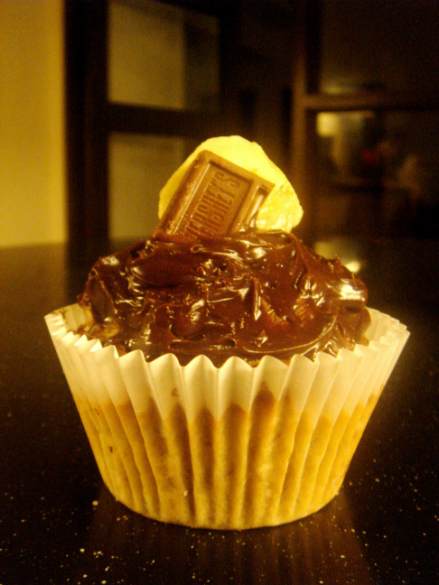 Another yummy treat from you Nix! :) And yes, I’m inspired by your entries! Keep ’em coming! Hi Cam! :) Praise God! Thank you. >:D< see you soon! Hi Cel! :) Thanks for the encouragement. :) Praise God! Hi Nicole! 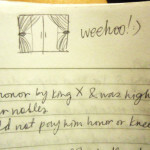 About 2 or 3 weeks ago, your mom shared with the pators’ wives bout this blog of yours! I have been overwhelmingly blessed reading your blogs and I am truly amazed at the depth of your insights! Keep them coming! You are soooooooo beautiful INSIDE and OUT!